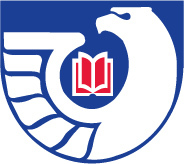 The materials listed in this LibGuide are accessible to the University of South Alabama community. This LibGuide is not intended to be a definitive listing of all materials available on this subject. Focus on pre-history leading up to the Tuskegee Airmen. "Those air crew and ground crew personnel associated with black flying units of the Army Air Forces (AAF) during World War II are known as the Tuskegee Airmen." "Who are the Legends of Tuskegee and what do they have in common? Booker Taliafero Washington, George Washington Carver and the Tuskegee Airmen all came to Tuskegee and created their own legends. Tuskegee is more than a town located in Macon County, Alabama. It is an idea and an ideal. It was a bold experiment and a site of major African-American achievements for over 100 years." AirPower History (Summer 2006) p. 20-31. "During World War II, the U.S. military was racially segregated. Reflecting American society and law at the time, most black soldiers and sailors were restricted to labor battalions and other support positions. An experiment in the U.S. Army Air Forces, however, showed that given equal opportunity and training, African-Americans could fly in, command and support combat units as well as anyone." "In the 1940's Tuskegee, Alabama became home to a "military experiment" to train America's first African-American military pilots. In time the "experiment" became known as the Tuskegee Experience and the participants as the Tuskegee Airmen. Come share their experience as depicted at the Tuskegee Airmen National Historic Site." "The story of the Tuskegee Airmen is one of defying the odds, overcoming racism, and performing superbly in combat. All the personnel in this outstanding unit were African-American, from the ground crew to the combat pilots."